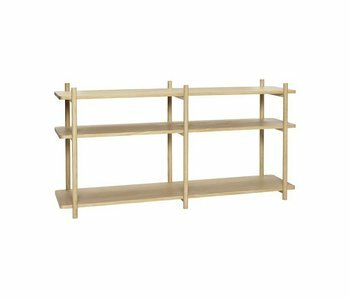 Shelves - LIVING AND CO.
Nice Hübsch wall unit with 2 shelves. 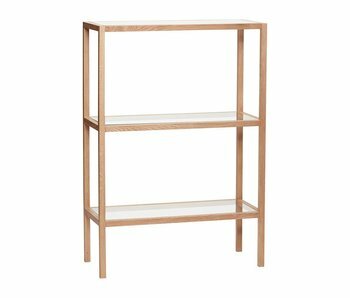 This wall unit is made of oak and beautiful to combine with other Hübsch items! 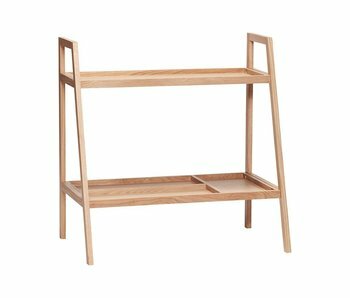 The furniture has a length of 80cm, width of 36cm and height of 42cm. Nice Hübsch wall unit with 2 shelves. 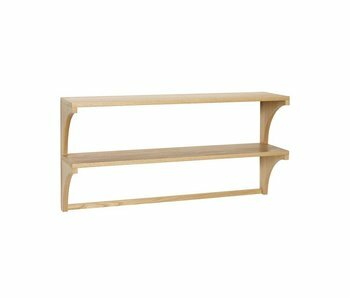 This wall unit is made of oak and beautiful to combine with other Hübsch items! The furniture has a length of 100cm, width of 27cm and height of 50cm. Nice Hübsch wall unit with 4 shelves. 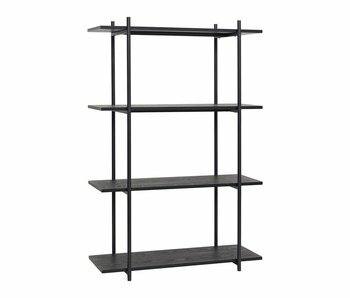 This wall unit is made of black metal and beautiful to combine with other Hübsch items! 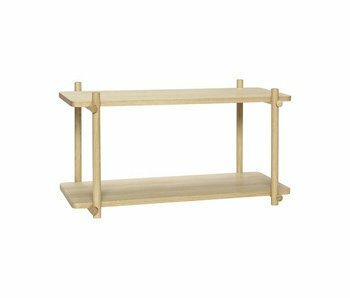 This furniture has a length of 86cm, width of 27cm and height of 100cm. 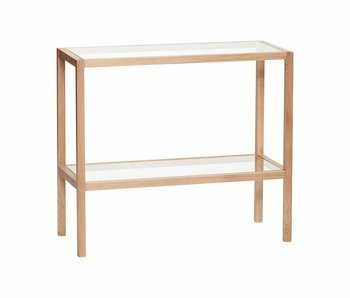 Nice Hübsch storage cabinet with 3 glass shelves. The frame of the cabinet is made of oak and very nice to combine with the playful look! The case has a length of 80cm, width of 35cm and height of 115cm. Nice Hübsch storage cabinet with 2 glass shelves. The frame of the cabinet is made of oak and very nice to combine with the playful look! The case has a length of 80cm, width of 35cm and height of 70cm. Nice Hübsch storage cabinet with 2 shelves. This cabinet is made of oak and very nice to combine with the playful look! The case has a length of 80cm, width of 50cm and height of 80cm. 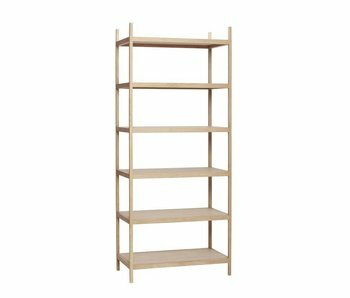 Nice Hübsch storage cabinet with 6 shelves. This cabinet is made of oak and very nice to combine with the playful look. The cabinet has a length of 80cm, width of 45cm and height of 190cm. 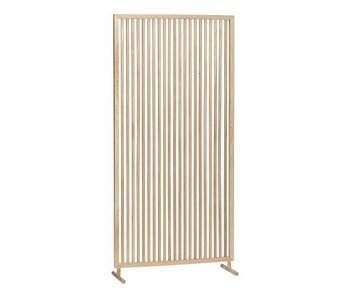 Nice Hübsch folding screen made of oak wood. This folding screen is fun to combine with the playful look! The screen has a width of 70cm and a height of 140cm. Nice Hübsch storage cabinet with 3 shelves. This cabinet is made of oak and very nice to combine with the playful look. The cabinet has a length of 150cm, width of 38cm and height of 91cm. Nice Hübsch cabinet with 14 storage compartments. This cabinet is made of black white wood and very nice to combine with the playful look. The cabinet has a length of 90cm, width of 20cm and height of 170cm. Nice Hübsch cabinet with 14 storage compartments. This cabinet is made of white wood and very nice to combine with the playful look. The cabinet has a length of 90cm, width of 20cm and height of 170cm. This beautiful Hübsch rack is made of black metal. The rack is equipped with 5 shelves made of glass. The rack has a length of 76cm, width of 31cm and height of 180cm. This beautiful Hübsch rack is made of black metal. 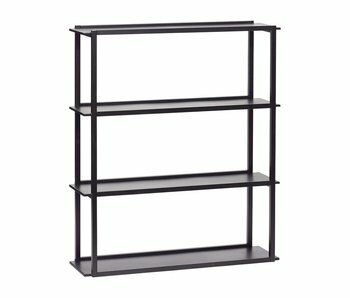 The rack is equipped with 3 shelves made of glass. 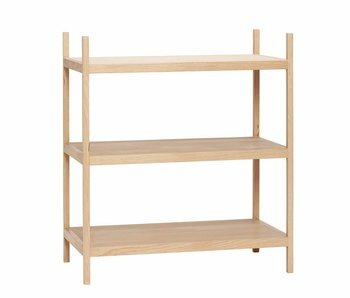 The rack has a length of 76cm, width of 31cm and height of 97cm. 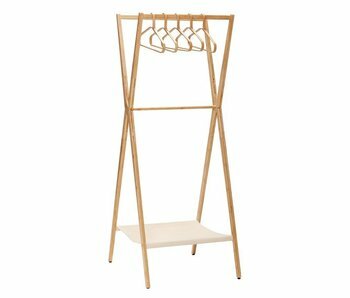 This beautiful Hübsch clothes rack is made of bamboo. Equipped with five hangers. Beautiful in a modern Scandinavian interior!